We've had several requests to post reviews from people who have been through the Pain-Free Fat Loss program. So we contacted some of our clients who’ve been through the program, and asked them what they value most about Pain-Free Fat Loss. When will I start to see pain-relief benefits? At my heaviest, I was 220 pounds. Over the course of two years, I was able to get down to 145. My biggest problems have always been portion control, grazing, and sweets. I never realized how much the constant snacking adds up in terms of calories. Or how those “healthy” snacks were making me hungrier later on. With Pain-Free Fat Loss, I’m much more satisfied after every meal, so I don’t feel the need to snack or overeat later. And my energy is way higher. Since there’s some flexibility, I can still indulge every now and then in my favorite sweets. 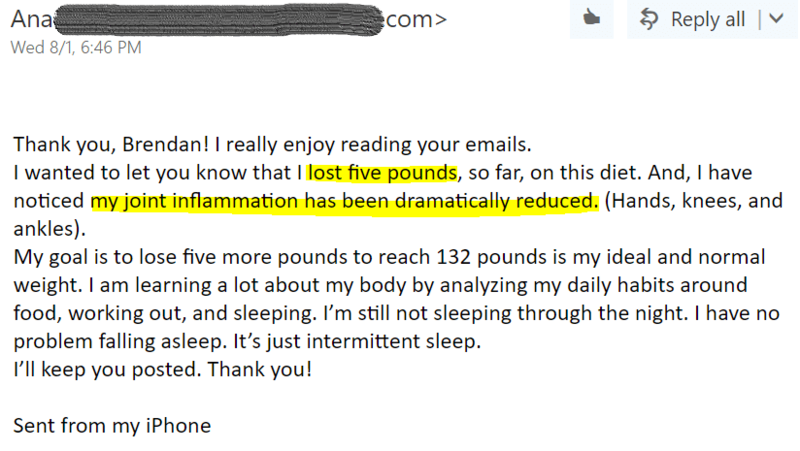 I have multiple issues related to inflammation and was searching for a low inflammation diet when I came across Pain-Free Fat Loss. I didn’t see much a difference the first two weeks. But I kept following the system, and listened to the advice from the follow up Accountability Emails — those were super helpful... normalizing and providing input at just the right times. After those first 2 weeks, I started losing... and lost consistently over the next couple months. I started at 148 (actually fluctuated between 146-151). My current weight is 128. I haven’t weighed under 130 in decades. I was amazed at how quickly the process became routine. People kept asking me what I was doing and if I was starving! Nope!! I was (am) never hungry. I really appreciated the advice not to be too rigid... that this is about the long haul... that has really helped me. I’ve told so many people about PFL. Not sure if they just think it’s too good to be true… But I have told everyone that the explanations you give for why you make the recommendations just make so much sense. I personally find it easier to follow through when I understand why it’s working. I also tell people that it really was pain-free!! Rashel had a long-term mindset from the beginning. Even when she didn't see immediate results. But because she understood the PFL principles after reading the book (and believed in them), she stuck with the program. Then, two weeks later, weight started falling off. It's important to recognize this. Because if you search around, you'll find some examples of people getting dramatic results the first week. If that doesn't happen for you, don't fret. Stick with it. The weight loss will come, and with it you'll get the relief you're looking for. But, we do have to admit... many people see results right away. Who emailed us after only a few days of following PFL. 12 pounds the first week! Not bad. Like I said, this is not uncommon. And with that amount of weight loss, inflammation plummets..
and so does joint pain. This is from another client, Ana. Note: Sleep is a common pain-point with our clients. In the chapter on meal timing, you'll learn how our recommendations for dinner help improve sleep quality. ​Our client Heather, a former marathon runner and fitness junkie, also saw impressive results after one week. 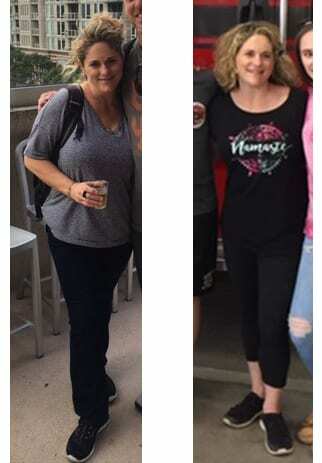 Both in terms of weight loss AND inflammation/pain. One of the biggest weaknesses of "dieting" in general is how it interferes with your personal life. Many people put off weight loss and addressing joint problems because they simply don't want to deal with the hassle. First of all — this is important. You have to make it a priority. Secondly — this program is designed to make your life easier. Not only that, you'll have more energy. What about guys? Does PFL work for guys? 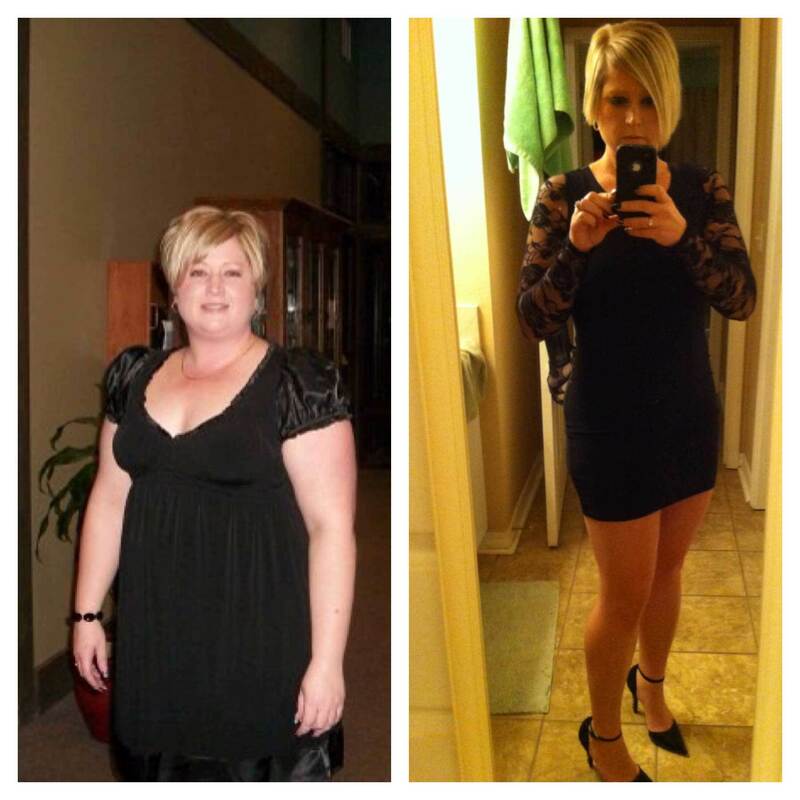 Well, we wanted to feature some of our female clients' success stories because people often make the mistake of assuming that Pain-Free Fat Loss is designed for men. But the truth is, about 70% of our clients are female. PFL works for men AND women. In fact, we have several athletes who have switched over from more extreme diets like the Warrior Diet and Anabolic Diet. Other guys like Pain-Free Fat Loss for its simplicity. I think the pain relief started about 10 days to 2 weeks in. I lost 15 pounds and two belt-loops in about a month. It's straightforward. Just a matter of sticking to it! I liked the emphasis on fats and protein, wanted to see if that kind of diet would give me more energy; it has. Also it has reduced joint pain. I started losing weight in the first week. Over the approximately four + months I've been on the program I've lost 8-9 pounds, which is about all I wanted to lose. I was more concerned with solving the joint pain. Joint pain is down, energy is up. So I’m happy. We even got the "thumbs up" from forward-thinking dietitians. And finally, you'll want to hear what our client Jody Williams has to say. Jody was a self-described "serial dieter". Had tried dozens of programs. Because they were the wrong programs for her. We’ve taken years of client programming and boiled it down to the most essential techniques, foods, and recipes for maximum fat loss & pain relief. We've cut the fat. And assembled a step-by-step, easy to follow program that shows you how to get results like those you just read about. Click the "Get Access" button below to learn how you can get access to the Pain-Free Fat Loss program now. Or, if you haven't read our article on the "Inflammation/Weight Gain/Pain Cycle" — click the button below to read the full article from the beginning.